Heatmaps, also called matrix visualisations, are a popular technique for visualising boolean data. They are easy to understand, and provide a relatively loss-free image of a given dataset. However, they are also highly dependent on the order of rows and columns chosen. We propose a novel technique, called ConvoMap, for ordering the rows and columns of a matrix such that the resulting image represents data faithfully. ConvoMap uses a novel optimisation criterion based on convolution to obtain a good column and row order. 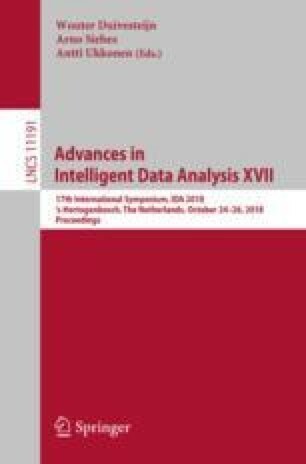 While in this paper we focus on the creation of images for exploratory data analysis in binary data, the simplicity of the ConvoMap optimisation criterion could allow for the creation of images for many other types of data as well.